Many of your responded with great fondness to the Visit with Jan Karon. 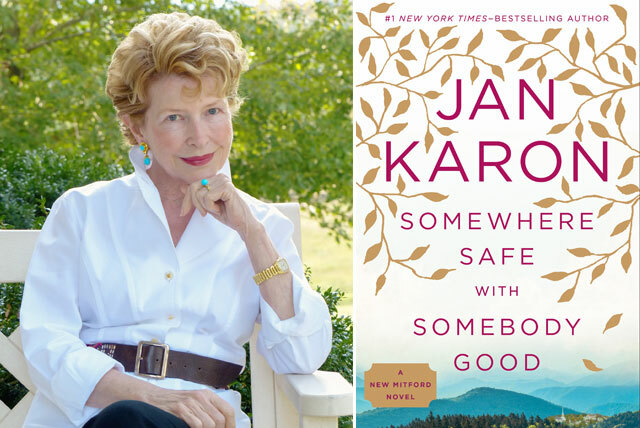 Jan is sending autographed books of Somewhere Safe with Somebody Good to be given away to two lucky winners. She is a wonderful writer, and I know you would love to be the recipient of one of these books. To enter, share this post via one of the social media buttons below, and then leave a comment with your favorite Jan Karon book. 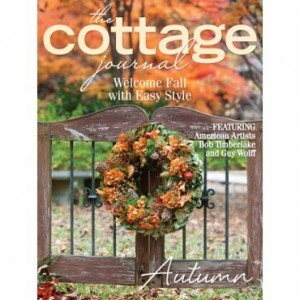 Write about it on Facebook, pin it to your favorite board on Pinterest or even send a tweet. Not a social media person? Just leave a comment instead. Best of luck! At Home in Mitford is my favorite, because I was introduced to the Mitford “family” in it. My husband’s very elderly grandmother first got me interested in this series of books when she told me that she was so sorry when each book ended, because she missed these wonderful characters. I am so happy there is another to look forward to. Thanks to everyone who entered! This giveaway is now officially closed, and the two winners have already been notified. I would probably have to say my favorite book of all the Mitfords is the first, because it is the one that introduced me to this wonderful cast of characters! Like so many others, I too have read all of the books and love and treasure each one. Love love love the Mitford series and have read them all…more than once! And have recommended the series to many and shared my books with many. It was so good to have my friends back with me when Somewhere Safe with Somebody Good was released. Jan Karon has touched so many lives in such a positive way and probably some that never thought they would be touched by the hand of God. We’ve been blessed. I scour the library for her books…..
Can’t pick a favorite–they are all wonderful! Can’t wait to try the new one! I have read all of Jan’s books. every one is my favorite. I could not stop reading until I went thru the whole series of books. I loved each and every one of them. I went on line to be sure I had read them all, hoping I would find one I had not read. I am so glad to be able to dive into another one of her books. I can’t wait to read the new one. p.s. to my previous post. The recipes aren’t just named ‘after’ the characters…they are dishes cooked / baked by the characters. How fun is that! My goodness, it would be practically impossible to pick one book ! I love the whole series! I first learned of Ms. Karon’s Mitford series from this blog. I am reading the entire series & am now on #7. I feel like I have gained a group of new friends. I love the books & whichever I am currently reading is my favorite. I love your blog, Phyllis! My favorite Jan Karon book is Mitford Cookbook & Kitchen Reader. Not only are the recipes delicious, I love that they are named after the characters. That along with the book excerpts keeps The Mitford series in capsule mode for me. I’ve read all of them! And, I just put Father Tim’s Christmas Morning Breakfast Casserole in the fridge to bake tomorrow morning. It’s my dish to contribute to Boss’ Day Breakfast at the office. I know they will love it! Thank you, Jan Karon, for giving us sweet Mitford and it’s delightful, colorful family. I have enjoyed all the Mitford series books. The characters Jan Karon so skillfully created, have become friends, and I am looking forward to reading what is going on in their lives now. Love the Mitford Series. Makes you wish you lived in a town just like that. Can`t wait to read the new book. At Home in Mitford – got me started on such a wonderful series of books. I’ve been thoroughly enamored of the Mitford series since it first came out. Then I read about Jan Karon and Blowing Rock, as well as her momentous decision to start a new life there. That, coupled with life in Mitford, gives me hope of achieving my dream of living a more serene, less complicated life, more in tune with what and whom I love. I think her books have been mistitled. They should have been called At Home In Eden. I haven’t read her latest yet. I’m saving that for a rainy day of the soul. I know it has the power to uplift. I would dearly love to win a signed copy. When I count my blessings, I count Jan Karon and her gift of writing. I absolutely loved the Mitford series. Good wholesome books that I couldn’t put down. I also have the cookbook! just arrived home after two weeks on Cape Cod and read half of Jan Karon’s book about the Christmas Creche that Fr. Tim redid with his friends for his wife as a surprise. I grew up close to the area of Blowing Rock as we passed there on the way to North Carolina each time we visited my mother’s family. So much of what she writes I can relate to. How sweet to win her new book. Whenever I feel the need for a quite get away I read the Mitford series again. I love Father Tim and the Mitford Series! I would also love to read this new book, and to have an autographed copy would be awesome! I would be a new fan. It sounds like they must be wonderful books. Please enter me in the drawing so that I may begin reading soon. Thanks for another Ribbon in My Journal opportunity to win something nice. I love this series, so charming and comforting, too. Would love to read this newest one! Getting ready to read the series again! I am so glad that Ms. Karon is back! I have missed her terribly having read and listened to ALL of her books multiple times! Somewhere Safe With Somebody Good is just beautiful and I absolutely can’t wait for next book!!!!! I love the Mitford series and Father Tim. I have read them all. Just got out her cookbook again yesterday. I love em all! I so enjoy reading The Midford books! Each book is like spending time with family and friends. Love all of her wonderful books! Really can’t wait to read this new one! I have all of the Mitford books and love them all! Even got my mom and several friends hooked on them! I have all Jan Karons BOOKS & love each & every one. A wonderful series for my little library. Looking forward to the new book … A wonderful read I am sure. A perfect ending to my busy day – relaxing and reading a Jan Karon story! Please enter me! Absolutely love her! I sadly donated all my Midford series to the high school I work at. I wanted others to have good books they could really enjoy. I miss my books but, I know they are in a good place! I have the Midford books.Love them all. Jan Karon is a wonderful writer and I would love to win her latest book! Mitford is a charming place to visit and it will be a treat to spend time there again. I was asked one time to list my 10 favorite authors, and Jan Karon was absolutely at the top at that list….along with Jane Austin, L.M. Montgomery, Louisa May Alcott, Emilie Barnes. Jan Karon is such a gifted writer. When I read her books, my whole being becomes calm. She is good for my soul. I just finished reading Somewhere Safe with Somebody Good…I couldn’t put it down,yet wanted it to last…it was like going home…love all the Mitford books…have read each one at least 5 times! Thank you to Jan for all her writing. I love the Mitford series. Looking forward to reading this latest book. The Mitford series stole my heart! It would be a treasure to have a signed copy! I have loved the whole series. I liked At Home in Mitford. And ever mindful of the widow that decided Father Time was to be her next husband, I have as a widow tried to be a better person. I love the Mitford series. I read them while recovering from a brain injury. Loved the bible quotes in them. They really helped! I love the Mitford series! I have not yet read any of Jan Karon’s books, but I believe I’ll start with the first one and spend the long Wisconsin winter, cozied up with a quilt in front of the fire as the snow flakes fall read them all in order. The books won’t last through a long Wisconsin winter. You won’t be able to put them down and they’ll be gone before you know it. Try to read slowly – so they last. Jan Karon is a very special lady and writer. I have heard her speak on a couple of occasions and she is so personable. I have enjoyed her books over the years and am looking forward to reading this newest one. I find it hard to select a favorite book – I have all of them – including the cookbook and a couple of children’s books. I have a few recipes in the cookbook that I go back to on a regular basis. I appreciate the perfect way to boil eggs. The potato salad recipe is especially good along with the deviled eggs. I even have the Mitford village that came out a number of years ago through Hallmark. I take one of the greeting cards that came out at that same time that shows a picture of the Mitford street and I line up my buildings to match it. The Mitford characters are all so interesting and fun. I find myself chuckling sometimes. And, they are all such caring people. Thank you for giving us such good and wholesome books to read that are both entertaining and spiritually inspiring. Love all the Mitford series books!!!! I have all of the Mitford series in my Library and have read every one…..it’s my Mitford family and I’m very excited to see what happens next. Thank You for continuing this series. I have all the Mitford books, and each one is my favorite! I would love to own this latest one. Thank you for the opportunity. I turned my mother on to the Mitford series after first reading about it in Victoria years ago. She has read and loved all of the books in the series, but doesn’t yet know about the new book. I’ve been doing my best to keep her in the dark until the holidays. It would be wonderful to surprise her with an autographed copy for Christmas. Fingers crossed! I have read and love the Father Tim – Mitford books and look forward to reading the new one. My favorite is the very first At Home in Mitford. I honestly thought a book about an Episcopalean rector could not be very interesting. But I was captured at the end of the first page when Barnabas showed up. Jan Karon has a beautiful spirit, compassion and great wit. Thank you for sharing your Mitford with us. I was introduced to the Mitford series by one of my dear friends. She passed the first four in the series to me which I read with pure delight. When I finished the last one she had given me, I was right at Barnes & Noble to purchase the remainder of the series. I have loaned them to friends to enjoy but their home is with me! Jan Karon’s ability to portray the true love between Father Tim and Cynthia was truly magical. And, the description of Father Tim on his first deep sea fishing experience had me laughing so hard I had tears in my eyes. I woud have to say that as I read each book, at that time, that one was my very favorite. I cannot wait to read Ms, Karon’s new book and I would be honored to win a copy. I first learned of Father Tim and Mitford while we were living in Texas. My mother and I shared Jan’s books and read them over and over again. I keep them tied together with a ribbon on my bookshelf. They will fill your heart and you won’t want them to end. Like so many others, I continue to search for a Mitford of my own. Thank you Jan Karon for a series that never disappoints and fills my heart over and over again. Read all her books. Love them! Hope another “Mitford” book comes again soon!! I liked all the Father Tim books, but especially enjoyed “A New Song”. It was a little different and an interesting new set of characters. But was so fun when he went back home too! Looking forward to reading a new book by Ms Karon…for sure will be a wonderful story! I love the Father Tim series and I got my aunt hooked on Jan Karon’s books also. Would love to win this book. I own all of the Mitford series and have read them more than once. Fabulous give away! I posted on all the links above! Jan Karon is a real lady, and I love that she finds that important. I can not wait to read her latest. I I had to pick a favorite book or series, it would be the Father Tim books. So inspiring, love the line he says about asking God to help him be a blessing to someone today. Simply the best. I have missed all of my Mitford friends and am happy to know there is a new book. I would love to live in Mitford ! Great series with lovable characters in a charming setting ! I have read all the Mitford books, have her cookbook and the Mitford Christmas ornaments from Hallmark. I am a huge fan ! Love, love, love Jan Karon’s books. Wonderful writer…One of my very favorites!!! I would love to win this lovely book! At Home in Mitford became my home and then I moved on and on through the entire series. I love all of them and have shared my collection with friends over and over. It has been a while so I am rereading the entire series and Jan’s new book is resting on my side table waiting patiently. Everyone is most thankful that Jan loves her story and knows that we all love her story too and her. What a gracious Southern Lady! for writing novels of quality and decency -” old fashioned values ” – something we need more of today . My mother was correct ! I will be reading Ms . Karon’s newest book in honor of my Mom . Love reading Jan’s books and have most of them. She is one of my favorite authors. Looking forward to exploring Ms. Karons books! It’s such a pleasure to be able to read a book and be able to pass it along to younger family members. The Mitford series is wonderful. I am re-reading the whole Mitford series again – just about done with the first book. I have the 2nd book waiting for me. I was so excited to see that our church library carries the whole series also. Jan’s characters are lovable and believable. I am excited to read through the series to refresh my memory and then to read her new book. Thank you, Jan, for the give-away! My friend has loved all of Jan’s books. She has the complete series. When I told her that Jan had written a new book because I read about it here, she was very excited. In fact her exuberance has made me want to read her books too. I am starting the first one. I would love to give her an autographed copy of the new one. She would be thrilled. I absolutely love Ms. Karon’s books and have read almost every one. They give me a comfortable, cozy place to escape when I have a few minutes to spare from a hectic life. It’s hard to pick a favorite, but I think the very first one is my favorite, “At Home in Mitford” because it began the journey with Father Tim. I’m so excited to hear of a new novel and can’t wait to go back to Mitford. I love Jan Karon books! I have a soft spot for “At Home in Mitford” because it was my introduction to Jan Karon. But I must say, I love everything she’s written. Hi, Phyllis! Here’s a link to the post on my blog. That you for the opportunity to win one of Jan Karon’s books! Ms. Karon is such a talented and wonderful writer. I can’t wait read her most recent work. Jan’s books are ‘a soft place to land’ in a hectic, complicated world. To visit Mitford (any of her books!) is a respite in the storminess of life…love them and her. Love reading Jan Karon’s works. It’s hard to pick a favorite! Every time a new one is released, I’m off to the bookstore to purchase it. Thanks for the opportunity to win one of her books! I love Jan Karon’s books!! All of them, but especially “At Home in Mitford” as it was the beginning of a series and I totally consumed all of them! She is an excellent writer, drawing the reader in to home town life and endearing the characters to them. I would love to win a signed copy of Ms. Karon’s new book. I love all her books, the Mitford series as well as her children’s books! Read the entire Mitford series and loved every one. I rarely read fiction but these were so enjoyable recommended them to my daughter. A new Mitford book, hooray! I’ve read them all so far and can’t wait to see what the characters have been up to. Read the complete Mitford series and enjoyed it tremendously. Looking forward to reading this new one. Thank you for bringing this interview to us. She is such a breath of fresh air and so are her books. I have read every single one. Thank you Mrs. DePiano! It’s difficult to choose just one of Jan Karon’s books as a favorite. I’ll select At Home in Mitford since it was the beginning of a wonderful journey with Father Tim, Cynthia, Dooley, and the residents of Mitford. I’m so glad there is another chapter. I have read some of her books but have them all. Just haven’t gotten around to finishing them yet! I love them! Jan Karon’s Mitford series, including her new one, is delightful. GREAT reads! I’ve read all of her book for years and am pleased that I have a new one for cold weather reading. I would love to win it! I’m a Country girl and have always lived in the country, but I could live in a small town like Jan Karon’s Mitford. Wonderful books filled with charming characters! Have all her books, such a wonderful author! Each of Jan Karon’s books have brought me portions of abundant, soothing grace at times when life’s circumstances felt rough at the edges. Her stories refresh me. I’m looking forward to reading this latest blessing! I would love to be the recipient of this book give away. Thank you for the opportunity! Jan Karon is one of my favorite authors. Love the Mitford series of course and the first is probably my favorite – At Home in Mitford! I was fortunate enough to attend a signing with her in Atlanta and she is so gracious. Can’t wait to read Somewhere Safe with Somebody Good! Love all of her books , the Mitford series has to be my favorite! Love the excerpt – can’t wait to read this newest book. Sounds like a lovely book & would love one for some much anticipated winter reading!! Forward to all of the rest, especially Somewhere Safe. I had a spell of illness a few years ago. A dear friend kept in Ms Karon’s books. My mind was occupied with her beautiful world until I could get mine straightened out. What a blessing to have a friend as mine and a wonderful story teller as Ms Karon to help us in time of need. God bless. Love the Father Tim books and the town of Mitford. Love these books. You get to feel like you know the people in Mitford. Sounds Lovely – Can’t Wait To Read. Reading Jan Karon books are best read at night, before falling asleep. Like James Herriott books, they make you think “all is well and tomorrow is going to be a good day.” What better way to bid good night and wake up with a smile! Several years ago when I had knee surgery and had restricted mobility, Jan kept me entertained as I read ALL her books on warm sunny days in my gazebo. She made the time go by swiftly!! Love her ‘father’ character!!! I love Father Tim. Jan Karon’s books are such good bedtime stories. Living in a small town myself, I have completely identified with Jan Karon’s picture of life through the extended books of identical characters; we are allowed to live life with its ups and downs with the characters and give relevance to our own struggles and successes! My favorite author………..read all her books.